This work is devoted to the system analysis of the possibility of the application of the fuzzy set and models for the estimation of the ecological risk and the system safety. Probabilistic safety analysis is widely used in system analysis for solution of practical tasks of assessment and protection of various processes and systems. In this case it uses a model of a tree incident, showing the causal relationships between the leading event (accident, catastrophe) and their basic assumptions of its occurrence. Often when predicting the safety of the newly designed objects, the values of the probabilities of the prerequisites are not known precisely due to the lack of theoretical models to assess a priori probabilities or the lack of statistic data. In addition, they can be represented interval values, or linguistic (verbal) qualitative characteristics of the background-the causes of the accidents. Therefore, the fuzzy model for evaluation of safety and environmental risk are often used. The interval description indicator of fuzzy values is both a criterion of reliability of the safety assessment. Since an increase in the interval leads to increased uncertainty probabilities, and thus to reduce the degree of reliability of the assessment. Purpose of the work is definition of the character of changes of the criterion of reliability of the changing parameters of the fuzzy set values in the model tree incident. Also the results of the analysis confirm the possibility of application of fuzzy models for the analysis of safety processes and systems at an acceptable level of confidence are given. Keywords: the model of the system, the evidence tree, the probability of the event, fuzzy set. Aleksandrovskaya L.N., Aronov I.Z., Kruglov V.I. Safety and Reliability of technical systems. – Мoscow: Logos, 2004. – 376 p.
Antonov A.V. System Analysis. Mathematical models and methods. – Obninsk: IATE, 2002. – 114 p.
Belov P.G. System analysis and modeling of the dangerous processes in techosphere. – M.: Academia, 2003. – 512 p.
Musichina E.A. Time-space model of the estimation of the ecology-economical risk // Information systems and technologies, 2012, № 4. – P. 46-52. Ostreikovsky V.A. The probability analysis of the AES safety. – Moscow: Phismatlit, 2008. – 349 p.
Ostreikovsky V.A., Shevchenko E.N. The risk model considering the зависимости between the probability of initial events and ущербом // Modern problems of science and education, 2012, № 4; URL: www.science-education.ru/104-6774. Pereezdchikov I.V. The Analysis of the dangerous of industrial systems men-mashine-environment and the defense base. – M.: CNORUS, 2011. – 784 p.
RD 03-418-01. Methodical recommendations to the risk analysis of the dangerous производственных objects. Documents of interfiled application on the application of the safety engineering. Gostechnadzor of Russia, 2001. – 20 p.
Sereda S.N. 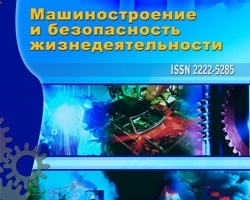 Optimization of the technological processes safety indicators // Engineering industry and life safety, 2011, № 2. – P. 26-30. Estimation of the ecological risk with fuzzy models, №3 (17) 2013, Sereda S.N.